A large number of residents in Bayside suburbs are lucky enough to live on a large block. If you are one of these people, you might have considered developing your block at some point. It may involve separating your block and selling the backyard or demolishing and building two or three new properties. Whatever you decide, research is crucial. 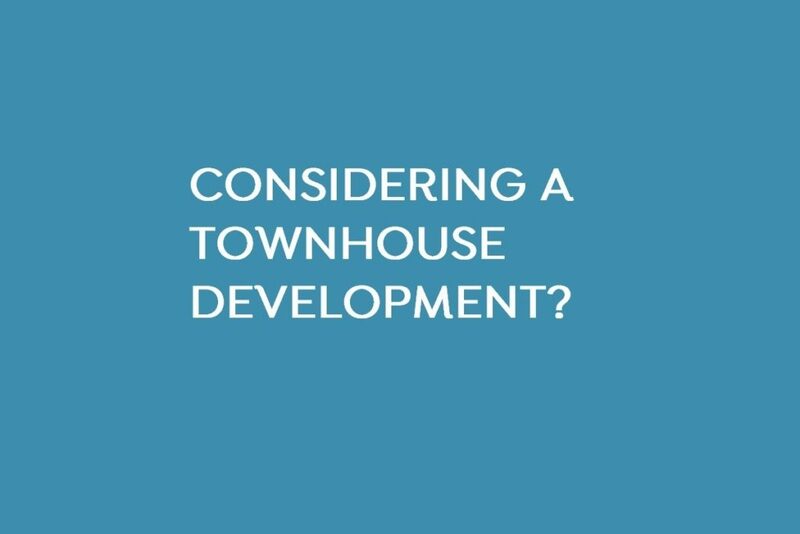 The local planning scheme in your area will need to be reviewed to ensure you are able to develop in the first place. Consider things like minimum site coverage, frontage, set backs, private open space or even heritage restrictions. Check your Certificate of Title: This will list your full site area & easements. Council Planning Scheme: What restrictions apply to your block and/or suburb? Compare Similar Developments: What’s the best use of space? What are the recent sales figures for your area? Consider your best and worst development scenarios. Speak to a Qualified Professional: A builder, architect, surveyor or development adviser is your best source of information. This will ensure costly mistakes are avoided. Splitting a large block into two properties is a great way to downsize, especially for downsizers. Reducing the maintenance and size of your home, plus benefiting from the sale of a second or even third property reduces the financial burden of building a new home.